Odds are this is your first wedding. You have tons of choices to make, and you are making much of this up as you go along. That’s okay, I understand. My job as your photographer is to take a part of the process and manage it, making your life easier. I have shot weddings many times, I know what to expect, how to deal with any crisis that occurs and just keep shooting. The first thing you need do is call or email me and we can make sure that the date and time you have chosen is not already booked. If you have not chosen yet, let me spare you some time, every professional vendor is going to need this information before they can schedule anything. Then I will arrange to meet with you. Everything works better in person, and that lets us see if we are a good fit. Your wedding day is going to be insane; you have no idea. At the end of the day it will all just be a blur with moments of happiness you remember with crystal clarity. The last thing you need is to have vendors that conflict with you. Of all the vendors, I am the one who is going to be up close and personal with you all day long. While we are together I will get a sense of what you are expecting. Then for the protection of us both I arrange for a contract. The contract ensures that I am taken care of, but it also ensures that I don’t decide a week before the wedding that I have better things to do. I would never do this anyway, as I am a professional, but I have heard horror stories of this happening to brides. If some disaster happens and I cannot be at your wedding, I will arrange for someone else. No matter what you will be covered. Once we have decided what you want I get the ball rolling and start managing this side of things for you. First up come the engagements. Engagements are a time to have fun. Don’t be too formal, don’t stress, and just relax. I will take my time with you and get perfect shots, both posed and candid. I will get these shots to you quickly, as well as get you a couple preview shots edited the same day. Many of my brides use their engagement photos to make their invitations. Sometime between the engagements and the wedding come the bridals. 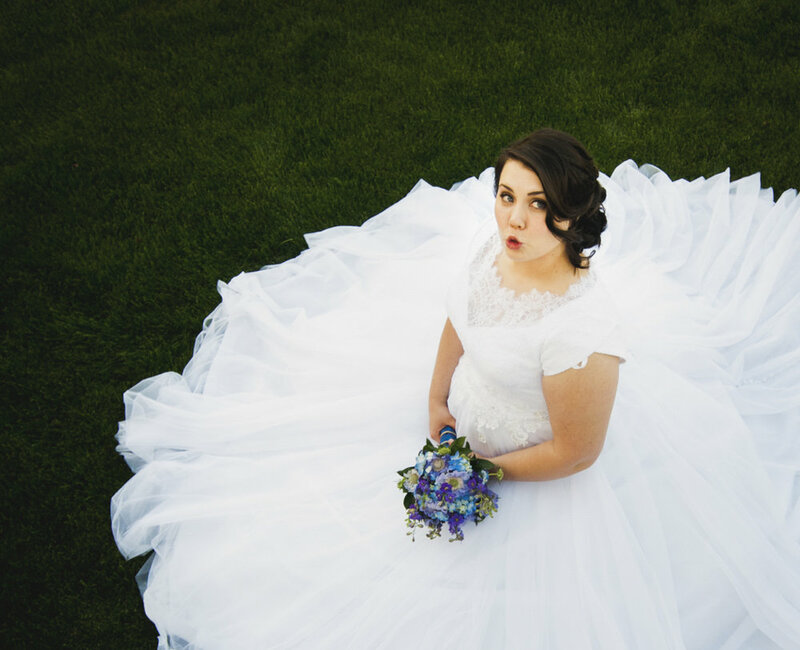 Bridals, as implied by the name, are all about the bride. 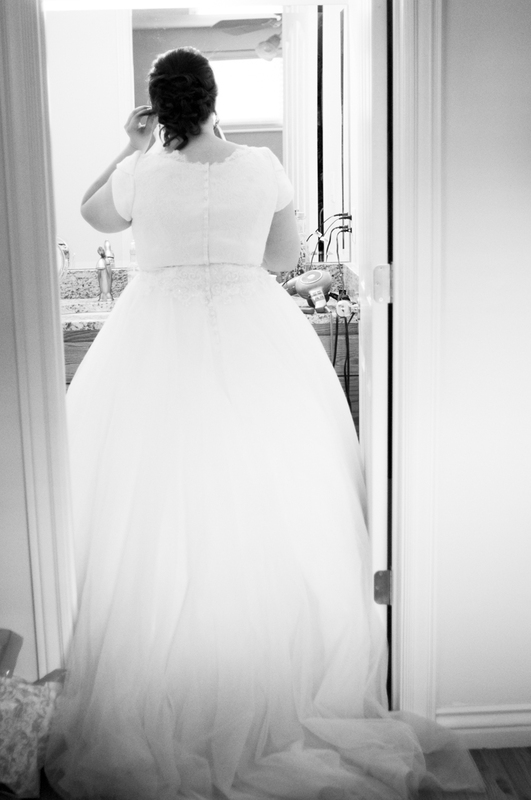 I get pictures of you in your wedding gown from every angle. I capture your beauty and make you radiant. 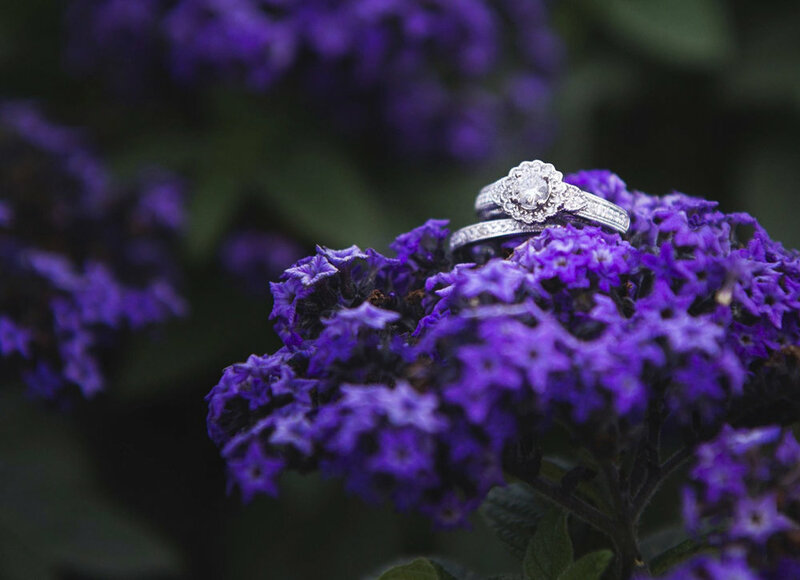 Bridals are more intensive than engagements, but I will make them as relaxing as possible. Of all the wedding pictures, this is the one I didn’t do and didn’t even think to do; it is my only wedding regret. In the time before your wedding I will want access to your Pinterest, so I can see what you are falling in love with. As you make decisions about your wedding colors, etc… I will just want to be in the loop so I can prepare. The wedding colors also help me find your family on the day of the wedding. A week before the wedding I will need a shot list from your Mother and Mother-in-Law, obviously you can add shots as you like, but delegate and let people help you; it will make things easier. Let’s talk for a moment about luncheons. Luncheons, while a lovely experience, rarely make good pictures. People generally do not enjoy having pictures taken of them while they are eating. For this reason, I generally do not photograph them. If you feel it is essential, I am happy to make it work, but most of the time it’s not really needed. On the big day I will be with you. As a female photographer I have certain advantages, because I can be with you as you prepare. You will naturally be nervous, and for some reason with translates really well into candid photos. This time will be a blur later, but I will get photos so you can remember. I always arrive early at the wedding venue. 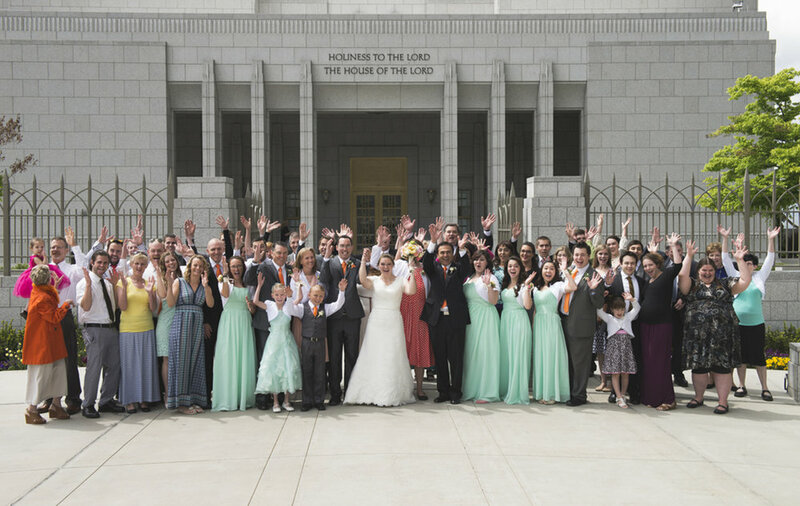 This is Utah, so a lot of my brides are LDS (but don’t worry if you are not, I have done plenty of civil weddings too!). If that is the case for you, obviously no one can photograph the ceremony itself. However, I have done enough weddings that I know how long everything will take. I arrive at the temple ten minutes after the sealing starts. This gives me plenty of time to take shots of the temple on the day of. The weather is slightly different every time, and looking at these photos will bring you back to your wedding day. I will be waiting and ready when you walk out of the temple. I will capture you and your spouse looking joyous, and somewhat amazed that you managed to find one another. It’s a special time. Before everything gets too hectic, we will focus on the fun shots. Everyone will be swirling around you, so I will be managing people as needed. After the fun shots, I will make sure that we get any needed family photos, etc… that are part of the shot list are covered. Generally you need to schedule at least an hour on the grounds taking photos from the moment you leave. People often try to schedule this before the reception instead, but that does not work, because people are always late. 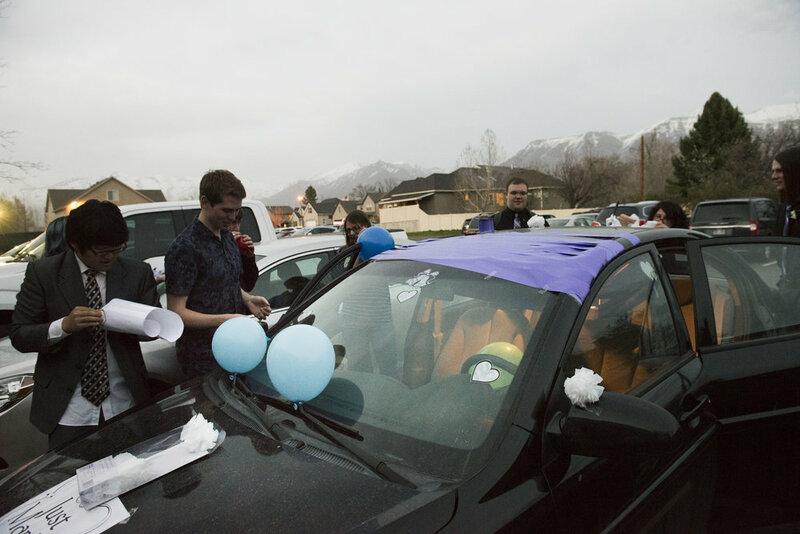 Between the wedding and the reception, or earlier, I will try to take pictures of the maid of honor or best man if they do car decorating. I will arrive at the reception venue before it starts to capture all the little details. Obviously I will capture the overall building, but I will also take pictures of the cake, the decorations, and your wedding rings. When the reception actually starts I will take photos as everything progresses, but just like the luncheon I will avoid taking pictures of people eating. After all of this comes the exit. I will always try my best to get photos of the exit, but due to lighting the exit photos are always hit or miss. Not everyone can make it to your special day, but everyone wants to see pictures. That being the case I get a preview up and tag the bride and groom right as soon as possible, so everyone can be included. After the wedding is concluded all of the photos will be edited in 2-3 weeks. They will be available either online through Google Drive or DropBox, or I can arrange for a flash drive to be delivered.